Camelot: The legend of King Arthur's idyllic sixth century community and the ill-fated love of Guenevere and Lancelot come to the stage in this 1960 Lerner and Loewe musical. King Arthur and his wife Guinevere create a peaceful community based on justice instead of bloodshed only to watch it crumble by their personal lives, loves and choices. 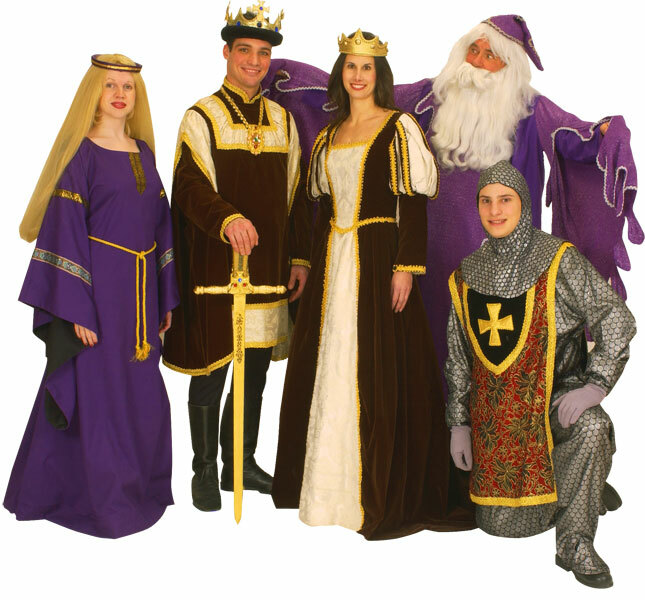 Pictured below are our rental costumes: King Arthur, Guinevere and Lancelot.